A stylish black Zippo lighter with a piano-themed shell. 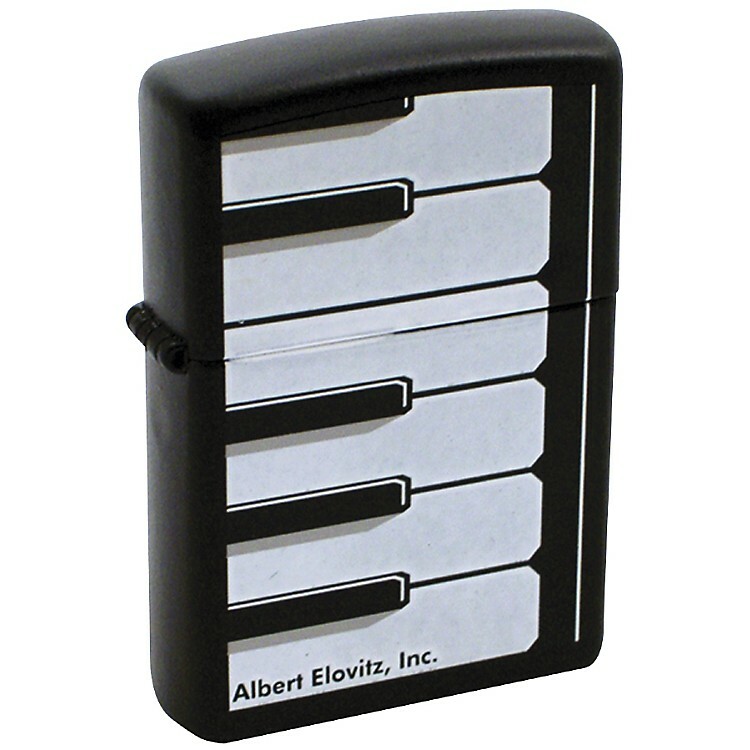 This Black Zippo Lighter features a keyboard design. Novelty gifts, accessories and decorations for musicians of all levels. Order today.